Welcome to Scientific Procurement (S) Pte Ltd (SPS). Discover for yourself why hundreds of laboratories from companies, universities and government agencies rely on us to supply them with their scientific equipment, supplies needs. Welcome to Scientific Procurement (S) Pte Ltd (SPS). Discover for yourself why hundreds of laboratories from companies, universities and government agencies rely on scientific equipment, supplies needs. Leading supplier of consumables, supplies and other products for environmental laboratory and elemental analysers. SPS specialized in supplying products for the environmental laboratory and gradually grew to supply a wide range of other laboratory products. We have been providing scientific and research laboratories in Singapore & neighboring countries with off-the-shelf and customized products which meets the specific needs of our customers since we started more than a decade ago. 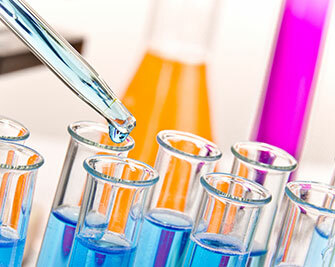 We at SPS are proud to carry the finest names in laboratory supply from manufacturers located all over the world. We work together with our customers for both adhoc and standing orders. Global procurement of products is our strength as well. For several manufacturer from USA and Europe. All safety aspects relating to work is carefully planned and executed. We engaged our own personal delivery service.